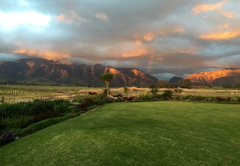 De Wilge is a property providing self catering in Worcester for tourists visiting the Breede River Valley region. The old wine cellar dates back to 1905. During later years it became a dairy, and the origin of some fine cheese. 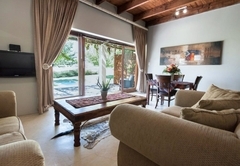 Recently it has been renovated to make room for two luxuriously furnished apartments which offers upmarket accommodation. However, the old cement storage tanks still bear witness of a now bygone era. 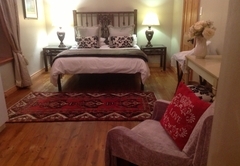 The Manor house has 2 double en-suite rooms that are offered on a bed only basis. Although breakfast is not offered, there are tea and coffee-making facilities with rusks in these rooms. 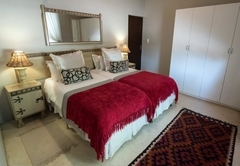 The self catering apartments, Lemon & Lime, each offers a living room, fully equipped kitchen, full bathroom, outside braai area and two bedrooms. 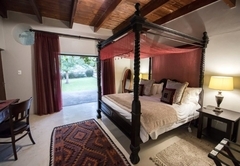 The main bedroom has a King-size four poster double bed, while the second room has been furnished with two beds. 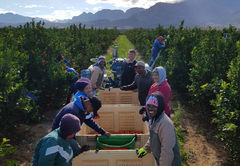 Should the need arise, extra bedding can be supplied by prior arrangement. 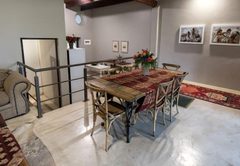 The renovated cellar features Oregon pine ceilings which give the apartment an oldish feeling, but at the same time has a romantic upmarket finish. 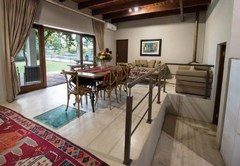 The apartments can easily be combined if needed, as they are separated by a double door which can be opened upon request. 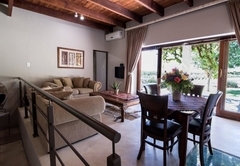 The apartments are fully air-conditioned for the hot summer nights. There is a swimming pool with jacuzzi jets on the doorstep of the guesthouse. For the colder winter months, a cozy ‘earth fire’ fireplace has been added to both apartments. Hundred percent Percale linen and towels are provided. Wood and facilities for a braai will be available. Numerous restaurants are available in the neighbourhood. 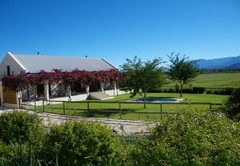 We are situated just off the R60 main road between Worcester and Robertson and only 90 minutes from Cape Town. The area offers lots of activities. 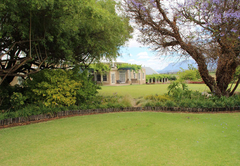 From scenic drives, 4x4 routes, boat trips, horse riding, game drives, brandy tasting and tours, wine tasting at numerous wine cellars and estates, water sports, Gary Player designed golf courses, art gallery, antique shops, exotic bird park and many more. 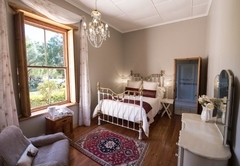 The Honeymoon suite, dubbed 'Tango', features a hot tub as well as a luxurious and spacious main bedroom with an open space shower and bath with a view. 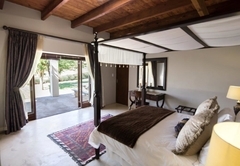 The second bedroom features 2 beds and an en-suite bathroom. 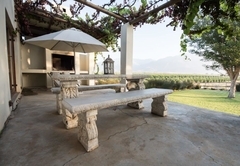 The braai facilities on the lovely verandah make this a supreme self-catering house. 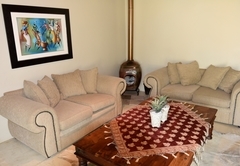 Other features include free wifi, DStv, air-conditioning and a fully equipped kitchenette. Extra bedding is also available by prior arrangement. 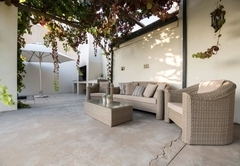 Extras include warm blankets and pure cotton linen. Special arrangements can be made for anniversaries, honeymoons or special occasions. 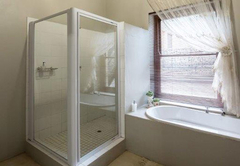 This air-conditioned room features a double bed and an en-suite bathroom. Tea- and coffee-making facilities and rusk are provided. Breakfast is not included, however, guests are welcome to enjoy breakfast at a nearby restaurant.